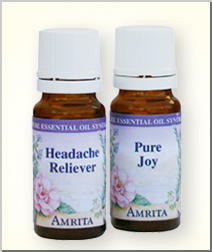 A synergy is created when the individual essential oils in a formula harmoniously support each other’s characteristics. These synergistic blends are very effective essential oil formulations, each one carefully designed to offer a natural support in the creation of well being. The properties of the each essential oils in a synergy, harmoniously supports each other to create an effect that is often more powerful than the individual elements. These blends can address common ailments, while uplifting and balancing the spirits. 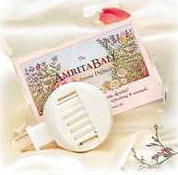 The AmritaBall will fragrance a medium sized room for several hours. It is easy to use and is ideal for traveling, offices, hotel rooms. Unlike other diffusers that may overheat and affect the scent of essential oils, the AmritaBall provides the optimum temperature for diffusion with heat. A set of 10 felt pads is include to allow alternate use of different essential oils. This diffuser plugs into any standard cigarette lighter socket. 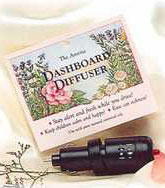 It allows you to refresh your driving environment with the cleansing, invigorating influence of pure essential oils of your choice. A set of 10 felt pads is included.